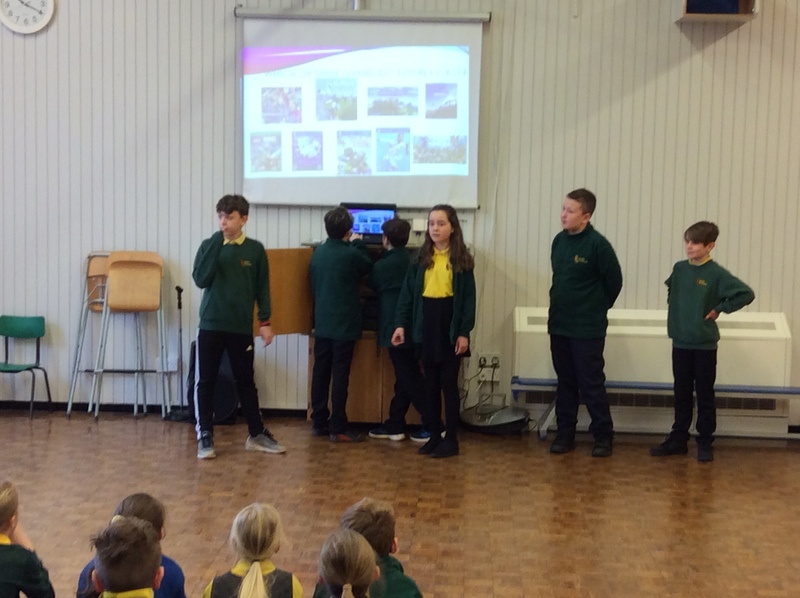 On Wednesday 6th of March the ICT Cadets did an assembly to the whole school about how to be safe whilst gaming. We all felt nervous – well I did! We told the children about the PEGI ratings for how old you should be to play certain games. We asked everyone to set their privacy settings to private or friends so other people can’t join in their game. We also asked everyone to not give any personal information away like name, address, email, phone numbers, school etc. Lots of children told us the different kind of games they played. It was exciting speaking at the front and lots of children got involved with our questions. On Wednesday the 6th of March, the ICT Cadets held an assembly about safe gaming. 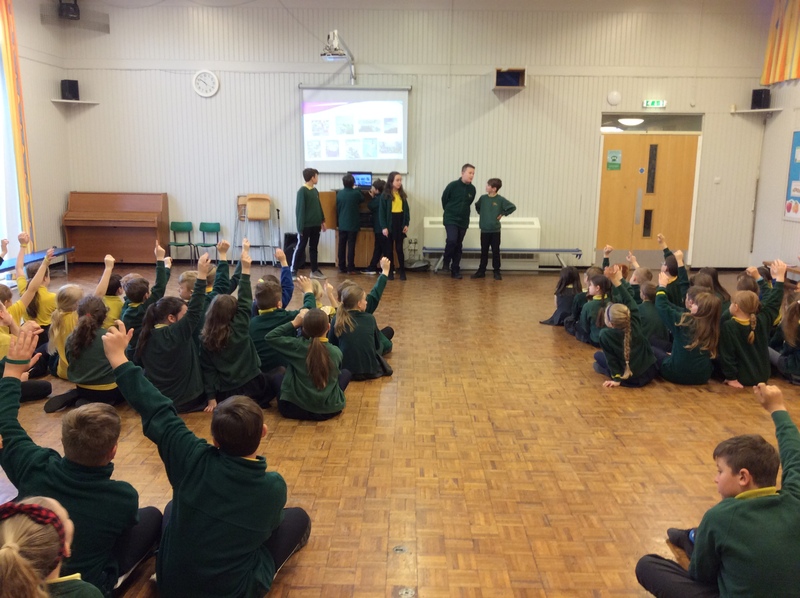 We stood at the front of the hall and talked about how we can stay safe whilst playing games online. It was great – I felt a little nervous because I have never held an assembly before. We told them which games are suitable for their age and about what to do if someone you don’t know sends you a message or a friend request. We also talked about privacy and how to change your settings to friends only because if your settings are on public, people you don’t know can join your game. Finally, we told children to never give away personal information such as account details, address and your second name. 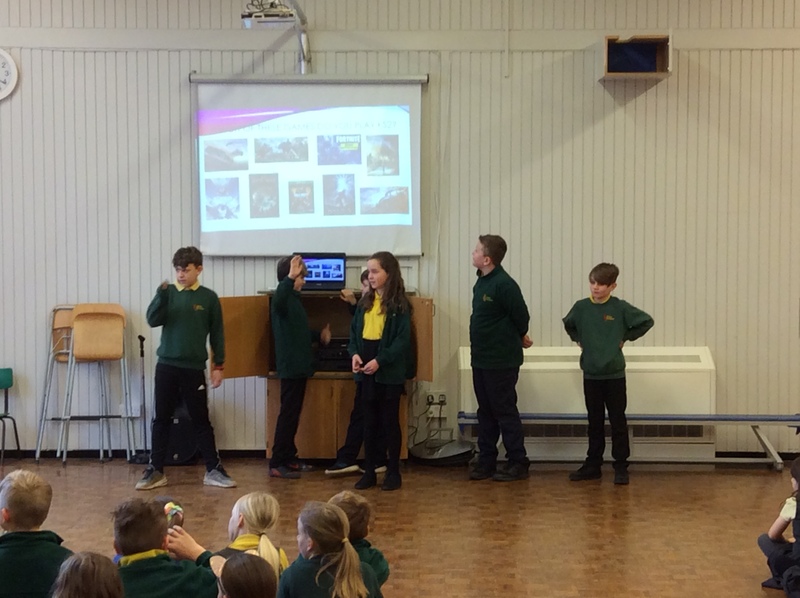 On Wednesday 6th March 2019 the ICT cadets stood at the front of assembly and gave a presentation on how to stay safe online whilst gaming. However, before the assembly we were all felt nervous even though we practiced the day before. We spoke to the whole of the school about the PEGI ratings, which tells you how old you need to be to play a game and the game’s content. Also we spoke to the children about Privacy Settings on games and that you should always have your settings on private. Moreover, we talked about not giving any personal information away such as your name, address, phone number, age, email, school and any passwords. Finally, we asked the children to tell us what type of games they play and we also asked them questions to test how well they know how to be safe online. Throughout the week before half term, we were treated to an extravaganza of talent as a total of seventy children from across school took part in the semi-finals of the G-Factor. Each class voted for the acts they wanted to represent them in the finals. We are now looking forward a fantastic event with a great range of entertainment, including singing, dancing, comedy, magic, gymnastics, piano playing, a puppet show and even story-telling! The grand final will be held on the evening of Wednesday 3rd April. Watch this space!